Some bedridden or housebound elderly people have been denied service by Canadian banks, which refuse to cash cheques and do other transactions on their behalf, unless they come to the bank. "It’s cruel — and there is no need of it," said Linda Graham, whose 94-year-old mother went without her pension money for seven months, because RBC refused to cash the cheques. "They need to change their policies. They really do." In Graham’s case and others, customers say banks are simply refusing to honour power of attorney documents — in place so children or others can do their banking — because they are concerned seniors are being taken advantage of. Nellie Graham uses a wheelchair, has poor eyesight and can't leave the house. Her 85-year-old husband Reg also has health problems. Until April, their daughter had regularly cashed her mother’s government pension cheques for her, at an RBC branch in Vancouver, by depositing them into the account her father has held there for 54 years. Her mother has never had her own bank account. Nellie said her daughter always handed over all the money immediately, with updated bank records, so there was no reason for anyone to be concerned. "She’s a wonderful girl. And I don’t know what we’d do without her," said Nellie Graham. "I know what I’m doing. You bet I do. I may be 94 —but I know what I am doing." RBC approved the arrangement two years ago, after the branch manager came to the elderly couple’s house and inspected their power of attorney documents. Then, after the branch got a new manager, Linda Graham said RBC suddenly told her it would no longer allow her to cash the cheques, because her mother was a "third party" not named on her husband’s account. "I said, ‘My mother is disabled. She cannot leave the house under her own power to come and open an account.’ And it just fell on deaf ears," said Graham. She said staff refused to allow her to open an account for her mother, who had signed papers giving her daughter legal authority to handle her affairs. "I took the power of attorney papers in. They were photocopied and sent to the [RBC] head office in Toronto," said Graham. "Those were turned down as well because they weren’t explicit enough." Linda even tried to get an ambulance to take her mom to the bank, but was told by the ambulance service that wasn’t possible. "We can’t get her to the bank. We can’t get her down the front stairs. Because we have nobody to help us get her down the stairs," said Graham. 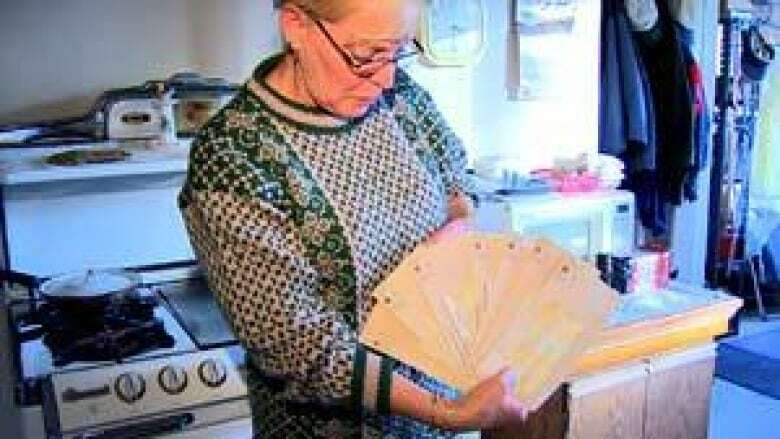 Nellie Graham's uncashed cheques piled up in her kitchen until they added up to about $4,000. Meanwhile, she needed new glasses, and suffered without them, because she said she wanted to buy them with her own money. "I’d like to be able to do my knitting, crocheting, sewing, anything — but I can’t do any of it." Nellie said she is not at all impressed with the staff at RBC. "They are not doing their job. And if they are not doing their job then get out and let somebody else in that can do it." "I think it’s disgraceful," said her daughter. "And it’s cruel that they are treating two elderly people with such disrespect — that have been long term clients." "This is something that is happening across the country," said Susan Eng of the Canadian Association of Retired Persons (CARP), which recently polled members about the problem. She said 1,600 members answered the poll. One-third said someone else had power of attorney over their affairs. In that subset, 10 per cent said they had been refused service by a Canadian bank, because it would not accept their power of attorney. Eng said that number is striking, particularly because CARP members are among the least disadvantaged seniors. "If even they are coming into problems like this, then I think the problem is far more widespread than even our polls are showing." 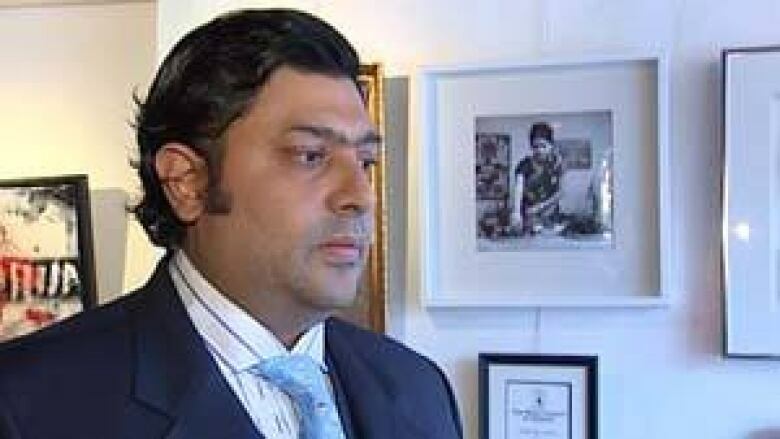 Aman Patel said he still hasn’t forgiven Scotiabank for the ordeal his dying mother went through two years ago in Toronto. "To watch her go through this and swallow the pain, it was horrific," said Patel, who is a criminal lawyer. 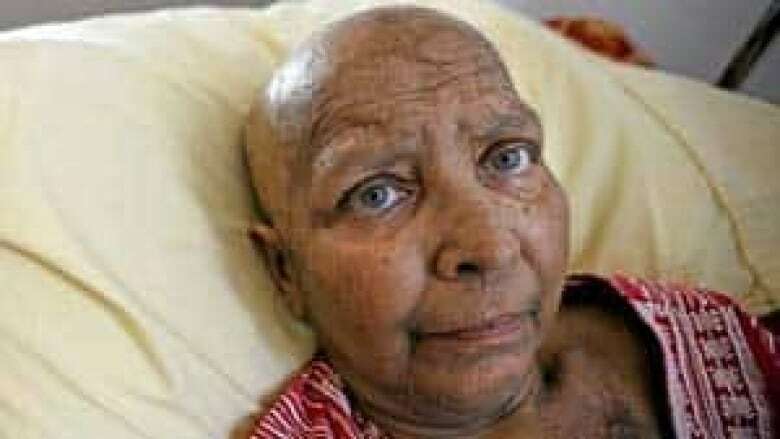 Amar Patel, 73, was suffering terribly from breast cancer. Still, he said, she felt she had no choice but to ask her family to get her out of bed and take her to Scotiabank’s main branch downtown, so she could cash in her silver certificates. "It was a terrible sight to see," said Patel. "She was sharp as a tack mind-wise, but her body had just about given out on her." 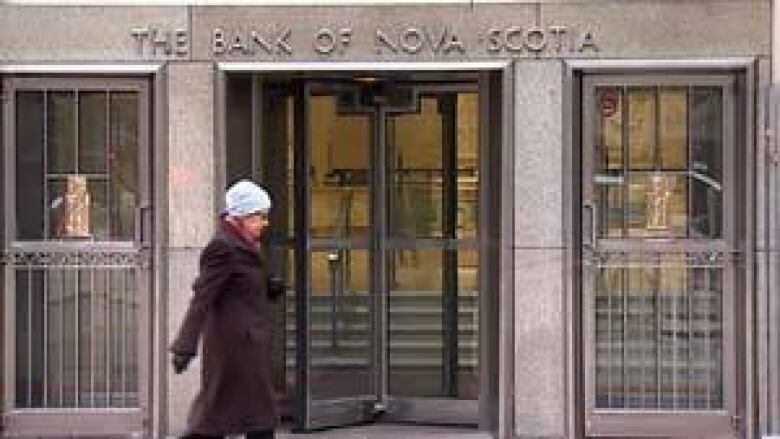 Patel said Scotiabank was refusing to allow him to do the transaction for his mother, even though he had power of attorney papers, which were drawn up by a reputable lawyer. "It was a complete stripping of her dignity," said her son. He said his mother had to be wheeled into the bank on her commode, after staff refused to come out to help her. "I did go in and say, ‘My mom is in the car, can you send a banking officer out?’ They insisted she come in. That was it. It was a flat-out refusal," said Patel. "They did not honour the power of attorney. She had lymphoma of her left arm. It was severe. It was swollen to probably four times its size and they insisted that she sign documentation." Patel died six weeks after her taxing visit to the bank. Scotiabank refuses to comment on her case, citing privacy. The Canadian Banker’s Association (CBA) said banks try to accommodate people in these cases, but don't always. "Banks will take steps to accommodate people as much as possible depending on the situation," spokeswoman Rachel Swiednicki wrote by email. "Banks also make a number of other banking options available, including ABMs and online, telephone and mobile banking." She added that sometimes power of attorney documents are not up to the bank's standards. "Some of the common difficulties that banks see with improperly prepared power of attorney documents include vague language, a lack of clarity, undated documents and changes made in the document that are not initialled. There can also be concerns with whether a customer was of a sound mind when the power of attorney was granted." CARP spokeswoman Eng said the onus is on the banks to inform customers about what is required, and then be flexible. "At some point they have to be reasonable. They have to accept the word of a lawyer who after all is going to put his or her licence on the line by signing the [power of attorney] document." Experts in federal human rights legislation said banks have a legal "duty to accommodate" housebound clients, so customers should demand that. "There is an obligation to provide services to their customer in a way that is accessible," said Laurie Beachell, of the Council of Canadians with Disabilities. "This is not only a potential breach of the law. It's bad business." 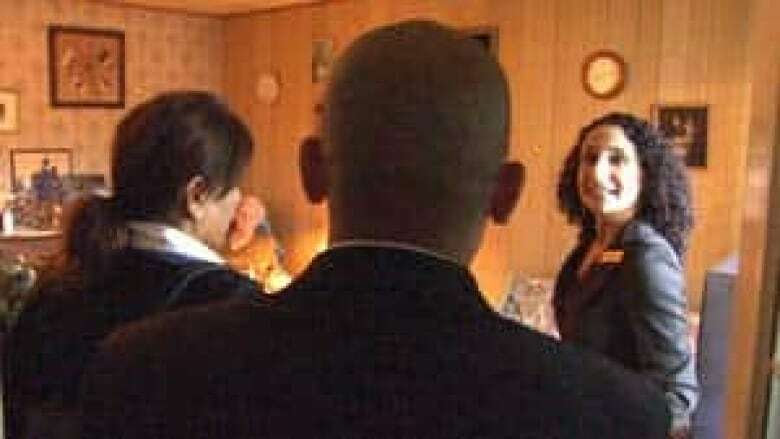 The same day Go Public contacted RBC about Nellie Graham’s pension cheques, three bankers from her local branch showed up at her home to open a joint account, so her daughter can now do her banking. "We sincerely regret the difficulty that Linda Graham experienced in cashing her mother's cheques and we have rectified the situation," said RBC spokesperson Ian Colvin. "Our employees' intentions were to ensure that Mrs. Graham was fully protected." Linda Graham said she can't believe what she had to go through to get this fixed. "It just makes me furious — that this was not taken care of at the very beginning," she said. "What really gets me is the arrogance and the rudeness that I have encountered."